ALA Book Award winner Graham Salisbury writes dramatic stories for young adult readers. 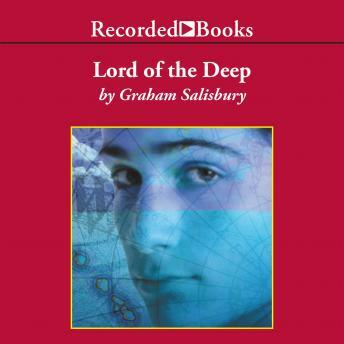 One of the most critically acclaimed books of 2001, Lord of the Deep is a vivid fishing adventure that takes place off of the great blue island of Hawaii. Since Bill married Mikey's mom, Mikey's life has become truly incredible. At age 13, Mikey is the youngest deckhand on the whole island, working hard on Bill's deep-sea charter fishing boat. It's his second week out on the boat, and he's busy trying to prove himself to both Bill and the disrespectful charter guests. But after making a mistake at a crucial moment, Mikey begins to feel more and more alone. Mikey's admiration for Bill compels him to take a stand for personal integrity and the truth--a decision that fills him with both regret for his actions and a deep appreciation for Bill. With narrator Robert Ramirez's enjoyable reading, listeners are in for a hot and sunny day on the boat.